« Parking Lots Can Be Great for Bird Photography … More on fine-tuning your BLUEs. 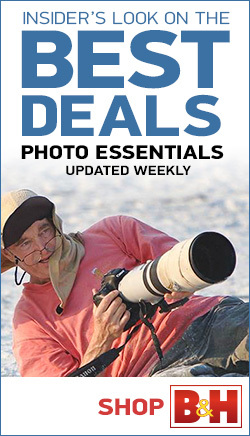 And Insane Low Prices on Nikon Big Glass. I am still trying mightily to fill the single slot on the Falklands Land-based IPT (DEC 22, 2018 thru JAN 5, 2019). 🙁 If you missed the details or are interested in a discount offer, please see the blog post here and shoot me an e-mail immediately. Only two folks are signed up for the Early Winter DeSoto IPT; do consider joining us on that or another IPT. You can see all the current offerings here. 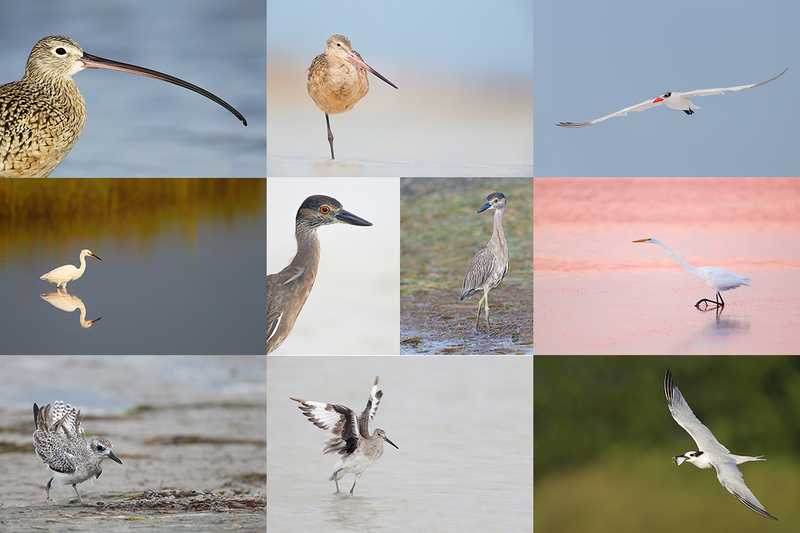 Right now I have nine folks committed to the 2019 Galapagos Photo Cruise. A friend who had committed to the trip learned that he and his wife might not be able to attend. Thus, I have room for one or two couples, one couple and two singles, or four singles. If the archipelago is on your bucket list, please get in touch via e-mail asap with questions. If you might be registering with a friend or a spouse, do ask about the two at a time discount. See the complete details here. Charlie Curry is offering a Canon EF 100-400mm L IS II lens in like-new condition for a very low $1598.00. The sale includes the front and rear caps, the lens hood, lens pouch/case, a low foot, the original foot, and insured ground shipping via major courier to US addresses only. Your item will not ship until your check clears unless other arrangements are made. Please contact Charlie via e-mail or by phone at 1-407-448-7797 Eastern time. Price Reduced $400 on November 8, 2018. Charlie Curry is offering a Canon EF 200-400 f/4L IS USM Lens with Internal 1.4x Extender in like-new condition (with extras) for $6,799.00 (was 7,199.00). The sale includes the lens trunk with keys, a RRS LCF-53 lens foot, the front and rear lens caps, and the original lens foot. Also included: the lens manual, the lens strap, and insured ground shipping via FedEx to US addresses only. Cashier’s check only. One AF point up from the center AF point/Single/Shutter button AF as originally framed was active at the moment of exposure. 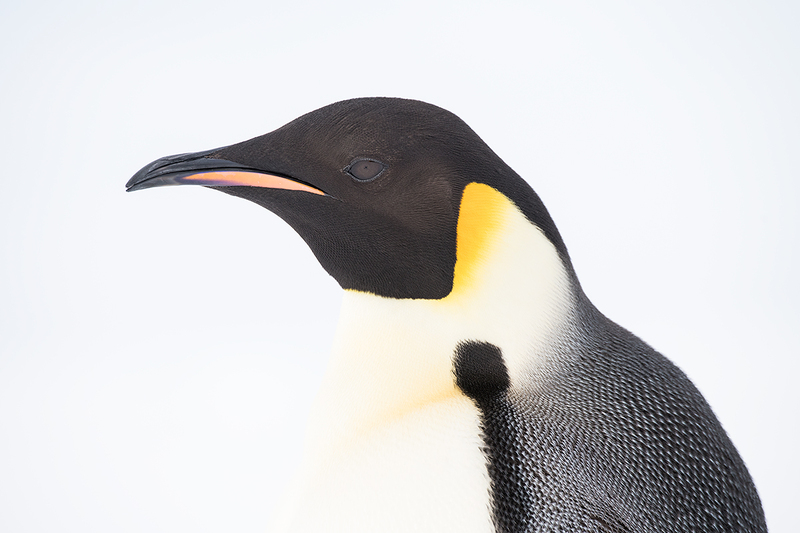 Emperor Penguin/the first head portrait! It was almost predictable. We were less than 1/3 of the way to the colony when we encountered a single, very friendly adult Emperor Penguin right next to the flagged track. I could not believe our good fortune as the bird was completely accepting of our presence. You might say that it was totally oblivious. While standing, I made a few images to fine-tune my exposure and then sat to get a sky background. I stayed with this bird for about 15 minutes before heading toward the colony. The walk was rather easy but for the fact that I and most everyone was over-dressed and thus over-heated. Perhaps it was the encounter with this gorgeous penguin that made me feel as if I were floating on air rather than walking or trudging. As I walked I was thinking of the too-cute chicks and of getting close enough to some adults to create some Emperor Penguin abstracts. Having seen many tens of thousands of King Penguins and a few hundred emperors, I raised this question quite often during the trip: Which is the more beautiful species, king or emperor? When comparing similar species, we will often feel that the rarer species is the more beautiful … We will further explore this topic in the future. I love having the Nikon 80-400 VR on my shoulder via an RS-7 Curve Breathe Strap so that it is accessible when I am working with a longer tripod-mounted super-telephoto lens. 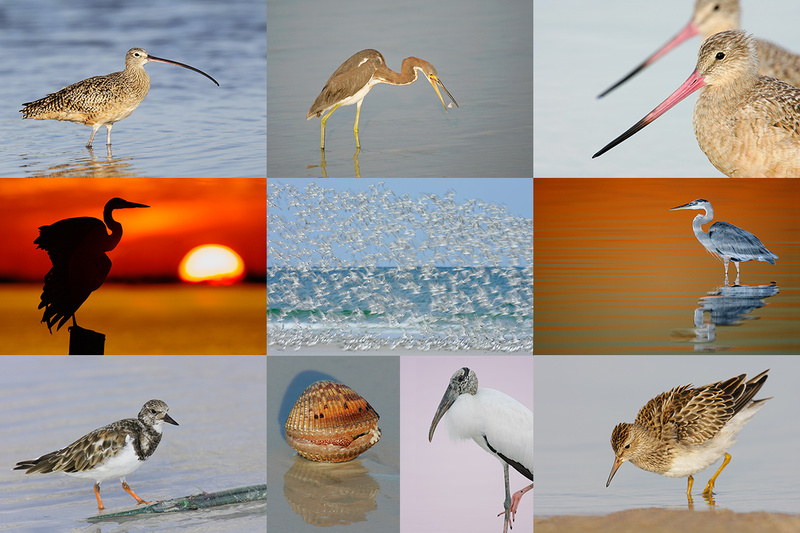 It is very versatile and comparable in weight to the Canon 100-400 II. At times I find the extra 20mm at the wide end very useful — it was great working at 80mm for the ice patterns, but I do of course miss the close-focusing abilities of the Canon intermediate zoom which focuses down to .98 meters or 3.2 feet. That as compared to 1.75 meters or 5.74 feet. Like the original Canon 100-400mm lens, there is a strong possibility that the construction of the current Nikon 80-400 VR is somewhat suspect. Why do I say that? When photographing on the DeSoto Fall IPT I had the lens on my shoulder and was using it to create images of flocks of feeding wading birds with marsh grass backgrounds. It was zooming in and out perfectly. I went to the long lens for a minute and when I went to the 80-400mm again it got badly stuck at 200mm; zooming wider than that was difficult at best. I was absolutely sure that I had not banged the lens at all, and could not understand why it got stuck. So I sent my 80-400 VR in to be repaired and got a loaner 80-400 VR for the trip. It was a bit odd that both my 80-400 and the borrowed one needed +5 AFA fine-tune with my backup D850. My 80-400 got back just before I left but to be safe I brought the loaner on the trip. To be honest I was worried about a repeat of the problem. The loaner performed perfectly throughout the voyage. I was glad that Nikon fixed the lens under warranty and am hoping that the problem does not recur. When I mentioned to friend/client Anita North that I was having trouble zooming wider than 80mm with the 80-400, she said that she was having similar problems. She brought hers on the Emperor Penguin expedition and indeed, hers got stuck at 200mm but not as badly as mine had. If you have had a similar problem with your Nikon AF-S NIKKOR 80-400mm f/4.5-5.6G ED VR lens, please leave a detailed comment. Tempting Artie. Prob is I already spent my children’s inheritance and pawned off my wife and still have nothing left. Hi, Artie. I love your question about which species–king or emperor–is more beautiful. I’ve never seen an emperor in person but kings are gorgeous, and like emperors, especially on snow. I love this image of yours, and if emperors aren’t as beautiful as kings, they must be close. I think for sure that emperor chicks are the cutest of all penguin chicks. Your comment about rarity reminds me of something I’ve said often: If the beautiful greenhead duck (mallard drake) were rare, people would spend big money to get an opportunity to photograph one. Good morning Guru. Hope you are fine. Wonderful image. Although I’m a Canon user however, I borrowed my friend’s Nikon system for a while last year with this lens (80-400mm). I found it really great. It produced some really sharp images. FYI, I was about the abandon Canon for Sony mirrorless. But after discovering Canon’s new technology “Dual Pixel AF” on my Canon EOS 70D; I gave up the idea and stayed with Canon. This technology is performing wonders for me as now I can capture lot of shots that were previously unattainable. Moreover, I love Canon’s color science. Another point Guru, can you contemplate visiting this part of the world (South Asia) at a convenient time of yours? If so, kindly do inform me as I will feel honored to organize necessary logistics for you. I’m a Bangladeshi (free thinker in mind i.e., don’t believe in religions) and now planning to visit Nepal end of this month (90 minutes flight from my country). I’m sure you know Nepal is one of the Himalayan countries. I’m going there both for birding and watching the Great Himalayas. It’s a Birder’s paradise with species like Sarus Crane, Great Hornbill, Himalayan Monal and many others. Moreover, there are some exotic mammals like the Bengal Tiger, One-horn Rhino and Asian Elephant. Kindly remember, winter is our birding season. You are the first person who ever had anything good to say about the Canon dual pixel stuff. I and everyone else who tried it for nature thought that it was a sham. Please feel free to share examples and info with me via e-mail. Hi Guys, One thing that we forget when viewing images online is that everyone has a different monitor and that most vary significantly in brightness … With my Macbook Pro with Retina Display the last three or four dark boxes on the Monitor Calibration Strip at the bottom of each BPN page blend together with the brightness maxxed out … Since my monitor is a bit on the dark side I try to process a bit on the light side. As I view today’s featured image I am pleased with the separation between the bird’s chest and the sky. At some point I might do one where all the WHITEs on the bird match the sky leaving only the darker marking of the bird. ps to Frank: you should sell your house and your children and take the last spot on the Falklands trip! Amazing Shots. I hope to photograph this species some day. I have been hearing about this conversation of Monitors quite lot in the BPN website. I have 3 monitors. Once is my Mac Pro, Another is BenQ and other at office which is Dell. Are you able to p the brightness on your Mac laptop so that you can differentiate the various dark shades on the left?